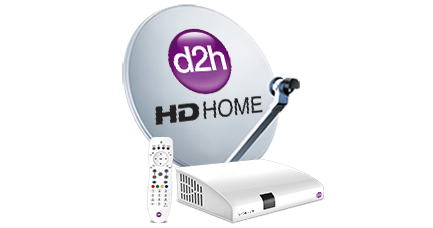 Mumbai, June 3, 2015 : d2h Limited (NASDAQ: VDTH) (""d2h"" or the ""Company"") announced its financial results for the fiscal year ended March 31, 2015. The Company management, led by Saurabh Dhoot, Executive Chairman, will hold two conference calls to discuss the results on June 4, 2015. This is the Company's first earnings release since the listing of its American Depositary Shares on the NASDAQ on April 1, 2015. Commenting on the results, Mr. Dhoot, said ""We are pleased to announce that we successfully listed American Depositary Shares on NASDAQ in April, becoming the most valued Indian company to be listed on the NASDAQ. We are happy to share our results for fiscal 2015. We maintained our market leadership in subscriber growth and reported key financial metrics ahead of the guidance provided during the listing process. We believe, with our strong balance sheet and continued momentum, we are well-positioned for the future."" Speaking on the growth outlook for the DTH sector, Mr. Anil Khera, CEO of d2h, said ""The Pay TV segment in India is positioned for extraordinary growth over the next few years with millions of new TV homes being created on account of strong economic outlook in India as well as the Government of India's initiative to roll out its digitalization mandate across the country. We believe that 90-100 million homes will be making the switch to digital platforms which will be available to the DTH and digital cable operators. We are well positioned to benefit from this and we believe we will take the largest share of this opportunity, as we have in the past. With strong economic growth outlook for India, overall media sector is expected to grow in the years to come. We believe, this will help grow ARPU, TV penetration and increase HD uptake leading to stronger revenue growth for Pay TV in general and d2h in particular."" The Company continues to be the fastest growing Pay TV operator in India, with roughly 20% of the DTH net subscriber market share as on March 2015 up from nine percent four years ago. Last year the Company continued to lead the market in gross subscriber additions as well as incremental net subscribers for the fourth consecutive year. The Company is also seeing a pick-up in its High-definition (""HD"") subscriber base. 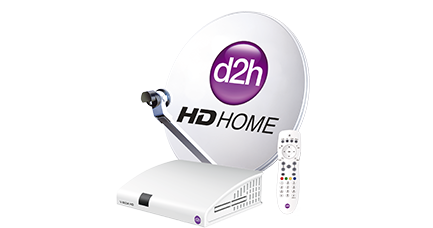 In Fiscal 2015, almost 30% of incremental net subscribers opted for the HD service. The Company's HD subscribers base now represent almost 10% of the total net subscriber base, up from 5% in Fiscal 2014. The Company expects HD penetration to increase in the coming fiscal year, with an attendant impact on ARPU. Unique control of box supply chain and R&D with development of local manufacturing capabilities. The Company achieved strong subscription revenue and revenue from operations growth of 38.3% and 32.5%, respectively, year on year to INR 20.58 billion in fiscal 2015 as compared to INR 14.87 billion in Fiscal 2014 and INR 23.38 billion in Fiscal 2015 as compared to INR 17.64 billion in Fiscal 2014, primarily due to increased net subscribers and ARPU growth. The Company achieved Adjusted EBITDA of INR 6.09 billion for Fiscal 2015 against INR 3.92 billion for Fiscal 2014, a growth of 55.3%. This Adjusted EBITDA is before accounting for INR 135.17 million in one off security issue expenses and ESOP impact in Q4 of Fiscal 2015. Adjusted EBITDA margin expanded 390 basis points to 26.1%, despite increase in content costs as a percentage of revenue in the second half of the fiscal year as the Company began operating under new content agreements. These new agreements provide predictability on content costs over the next 3-4 years, with better operating leverage and improved margins as subscriber base and ARPU and revenue increase over time. Net loss for the year came in at INR 2.73 billion, a 14.7% improvement over the prior year. d2h was able to push through an inflation linked APRU increase in February 2015. As a result, Q4 Fiscal 2015 ARPU was INR 202, 11.7% increase over Fiscal 2014. The Company completed a listing of its American Depositary Shares on NASDAQ on April 1, 2015 under the ticker VDTH, in a business combination transaction with Silver Eagle Acquisition Corp. (OTC: EAGL). To commemorate this momentous event, Company management rang the opening bell at the NASDAQ market site. The Company has 393 million equity shares outstanding which is equivalent to 98.25 million American Depository Shares after closing of the business combination with Silver Eagle Acquisition Corp. We received US$ 273 million in net proceeds after payment of transaction expenses and have repaid gross debt of approximately US$100 million. The remaining proceeds shall be utilized for additional debt repayments and business expansion. The gross debt of the Company was INR 25.9 billion and cash and bank balance (including restricted cash) was approximately INR 13.0 billion in Fiscal 2015. Following the NASDAQ listing, Harry Sloan and Jeff Sagansky are awaiting the regulatory approvals/clearance to join the board of directors of d2h. In the coming months, we expect the Dhoot family to have only one out of the eight board seats. The Company has established corporate governance practices and policies, including those pertaining to related party transactions, intends to follow NASDAQ, Indian and other international best practices. This announcement may contain forward-looking statements, as defined in the safe harbor provisions of the US Private Securities Litigation Reform Act of 1995. In addition to statements which are forward-looking by reason of context, the words ""may"", ""will"", ""should"", ""expects"", ""plans"", ""intends"", ""anticipates"", ""believes"", ""estimates"", ""predicts"", ""potential"", or ""continue"" and similar expressions identify forward-looking statements. We caution you that reliance on any forward-looking statement involves risks and uncertainties that might cause actual results to differ materially from those expressed or implied by such statements. These and other factors are more fully discussed in the d2h's registration statement on Form F-4 filed with the SEC and available at http://www.sec.gov. All information provided in this announcement is as of the date hereof, unless the context otherwise requires. 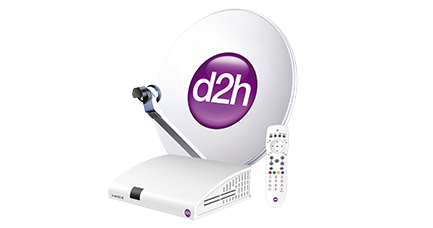 Other than as required by law, d2h does not undertake to update any forward-looking statements or other information in this announcement.